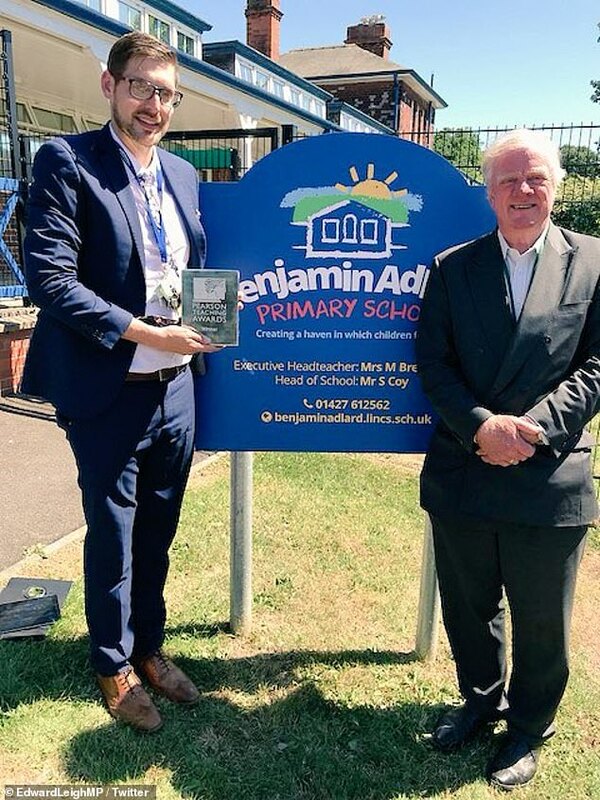 Sam Coy was aged 27 when he was put in charge of struggling, 210-pupil Benjamin Adlard School, and knew he had his work cut out. Disadvantaged Year Six pupils were lagging up to NINE terms behind their peers nationally in certain subjects. Ofsted had graded the school “Inadequate”, slamming weak leadership and low expectations. But in less than four years Sam has reversed its fortunes with a series of clever innovations. One is a forest garden where disruptive kids go to calm down and light cooking fires, plant ­vegetables, look after chickens and play old-fashioned conkers. Another is a rewards scheme offering treats dreamed up by the children, including football afternoons, chocolate parties and the chance to be “head for the day”, wearing one of Sam’s ties. Emphasis is put on politeness and visitors are ushered through the school by pupils opening doors. In Sam’s first 12 months, Ofsted upped its grading two places to “Good” and issues including truancy were tackled. In 2014, just a third of the kids were achieving good results in reading, writing and maths. Now seven in ten are hitting their targets. Sam’s approach has changed life for some of the area’s most needy children, including a 10-year-old so troubled he was on the verge of being expelled from another school and a Year 4 child who could not cope with more than 10 minutes a time in the classroom. They are both now full-time at Benjies, as the school is affectionately known. Others in the deprived, low-income district have been helped by the school taking on a family support worker, providing free uniforms and running breakfast and young carers clubs. Sam’s efforts were recognised by an acclaimed Pearson national award, School of the Year: Making a Difference, which gets lovingly polished every day. Sam, now 31, who had previously taught in Nottingham and worked with under-privileged children in Lincoln, said: “I can’t take all the credit because it’s been a real team effort. “We recognise academic progress is important but we realise lots of building blocks need to be put in place. Many of those involve interventions that help pupils develop socially as well as academically.” He went on: “When I first joined the school I was a little nervous. There were staff members who had been here for years, which was a bit daunting. Benjies’ pupils live in one of Britain’s 1,000 worst-off districts – Gainsborough South-West Ward – which has high unemployment and crime. Seven in ten kids are entitled to free school meals and 40 per cent have special educational needs, compared to a national average of 14 per cent. Sam is now working on creating a community hub at the school where families can access debt counselling, housing support and a food bank.